This week came and went while I spent my time mostly on the computer. Whew! So glad I got a lot of things done. I look forward to some shopping and coffee time with a couple girlfriends this coming week. I didn't bake this dessert but I have a passion for baking and cooking. And I LOVE cheesecakes! This shot was actually taken by my hubby on our date last Tuesday BUT.... I set the settings on the camera, helped him set up the stuff on the table, and edited the photo. LOL!!! But he did great! He was actually the one who got me into photography. He taught me the basics. So... cheers to him for this great shot! Can you see the G-clef in the background? That's from the music stand I set up behind the earphones for bokeh. 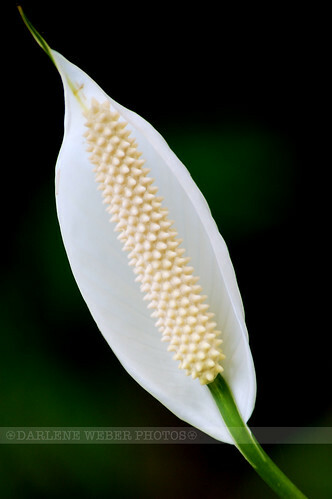 You can see the inner beauty of the peace lily. This is our street. I was on a moving motorbike when I took this shot. No, I wasn't driving it.. my hubby was. LOL! Yes, that is a very sharp knife. I'm obsessed about sharpening the knife almost every time I have to use it. 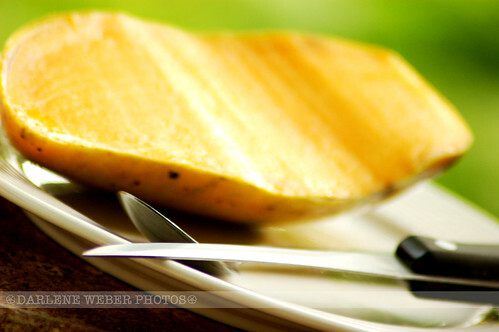 And that is a very yummy cold, juicy, sweet, yellow Thai mango! Right now it's only US$0.80 for 2 lbs - that's right! That's 80 cents for 2 pounds! 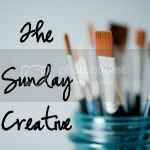 Linking up with Ashley for this post. Gorgeous collection - I love your take on sound of music and ethereal. Beautiful job. Superb photos! So lovely! I love the creativity of your sound of music shot! LOVE the passion (dessert) image! The peace lily is beautiful! 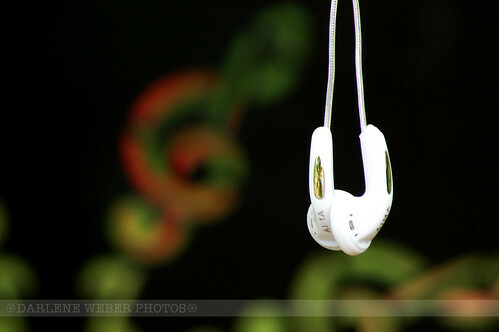 I like the earphones too - nice bokeh. Great job! I love these! Oh I think that sound of music shot set up was just so creative. You certainly captured a beautiful shot of your street with that rainbow despite being on a motorcycle at the same time. Love your rainbow shot!! :) soooo perfect. I also really love your idea for sound of music. Great work! Your 3 first pics are really good and I like most that sound of music and its background !!!!! The sound of music shot is amazing. What a clever idea and I just love how you framed it! 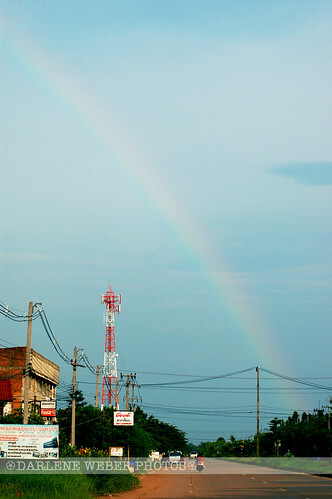 What a fantastic shot of that rainbow!!!! Awesome job. I love the first two. Gorgeous. you have quite the eye for composition... it's evident in the shots you create that you've got a vision beyond what most people see. Lovely! Great shots! The cheesecake looks delicious! 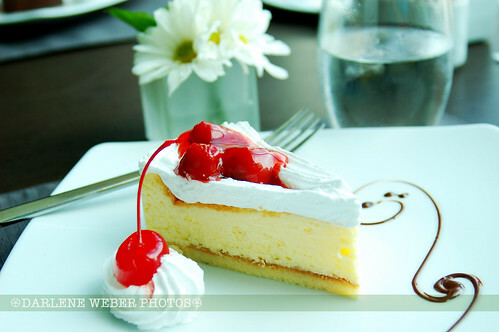 my favorite is that cheese cake--yummy! WOW! that Inner Beauty shot is amazing! Great job! I like your "Sound of Music" shot! Awesome shots! And, the music capture is too clever. Love all of your shots! My sons loves cherries and mangos so those are his favorites. It's nice that you guys take photos when you go on dates I should start doing that. 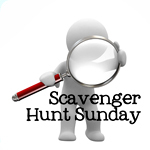 Please check out my other posts! I am not a pro photog but all photos posted on this blog are mine. If you would like to re-post my photos or get a copy for printing, please email me. Thanks!